Since I travel a bunch for my job at Gallup, I am in and out of planes (and sometimes trains) a little more than I like. Ever since Bose came out with their noise cancelling headphone several years ago, I have been eyeing them, but get held up at the $299 price tag. 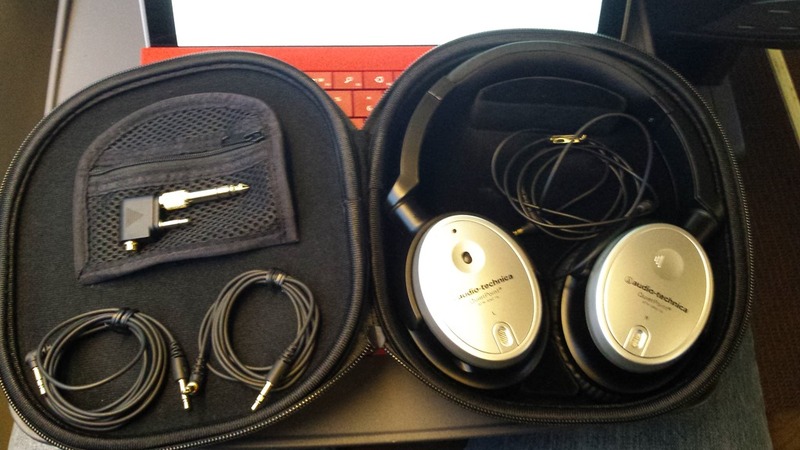 I know they are good and I have tested them out at several tech outlets, but the price has always held me back. I have also been using the Audio-Technica ATR-2100 as a podcasting microphone now for the last 2 years. It’s a great mic at 1/4 of the cost of the industry standard Heil PR40 and wondered if Audio-Technica had a set of headphones that would compete with Bose at a fraction of the price as well. Enter the Audio Technica ATH-ANC7B SVIS Noise-Cancelling Headphones coming in at $125. I have used them now for four weeks on several flights across the country. I used them both with my Android phone and without a cable. There is an easy switch on the side that allows you to switch between active noise cancelling and off. Below list a list of Pro’s and Con’s. For half the price of the Bose, I would say they are a good deal. They do have a few drawbacks. Price – half the price of the Bose that come in at $299 retail. Uses a single AA battery and is very easy to change when it runs out of juice. Can be used with either a device or without. If you plug in your iOS, Android or iOS device, they work just like any other set of headphones. Comes with a cord that will allow you to take phone call. Also comes with one that doesn’t. 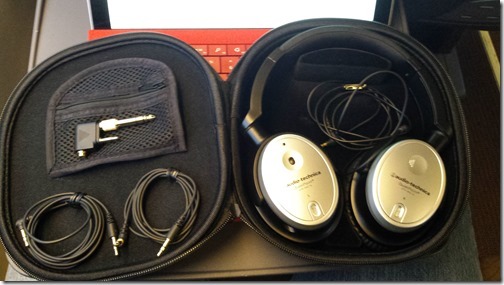 The hard shell case is plenty of protection for the headphones. It also has room for all your cords and easily fit inside my backpack with out issues. I normally carry two laptops and all three still fit. They worked at reducing the noise on a flight amazingly well. Still could listen to podcasts as well. They fit tight on my big head. Both on my ears and on top of my head, it got uncomfortable after an hour or so. They are about a half and ounce heaver than the Bose and you can fell that over a 2 or 3 hour period. 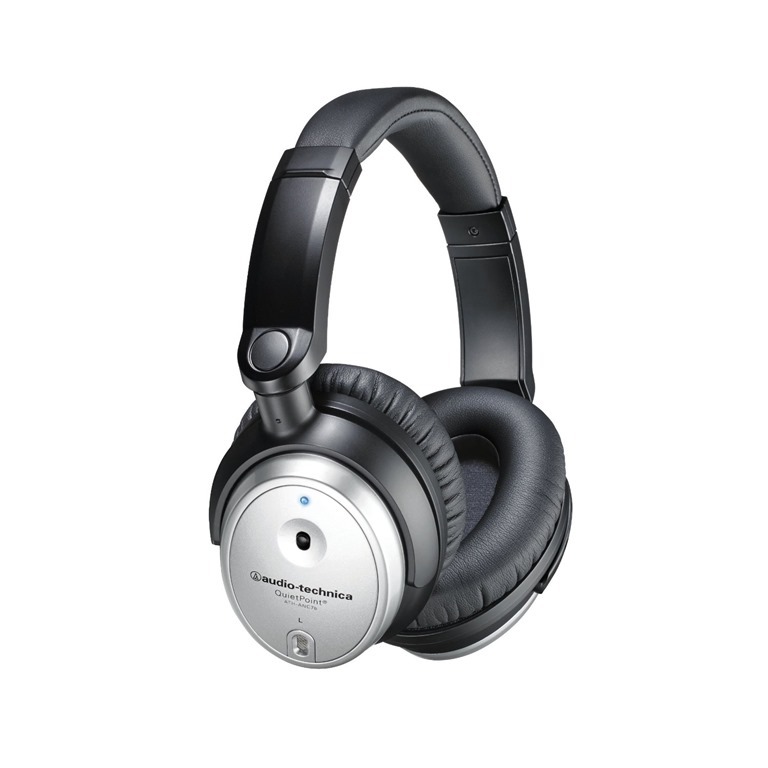 If you are price or budget constrained, then the Audio-Technica headphones will work just perfect for you. In my tests, the Bose fit better and were more comfortable, but not my much. If I traveled more or did international travel where I would need to wear them for more than 3 hours at a time, I would consider upgrading to the Bose.